Ian Sullivan is being chased by a mobster and has to come up with five thousand dollars he doesn't have. His only hope is an estimate for a large house. Little does he know that the house belongs to a loup garou who just happens to be his mate. Ian Sullivan is in trouble. His father and brother died because his brother gambled and owed money to a mobster. Now Sal Ferrara want to collect from him and if he doesn't, he'll take Ian as his boy toy instead. Ian's only hope is getting a job from an estimate his father had outstanding for an seventy eight hundred square foot house. Little does Ian know that the house belongs to a Remy Clavier, a loup garou who meets Ian and knows he's found his mate. 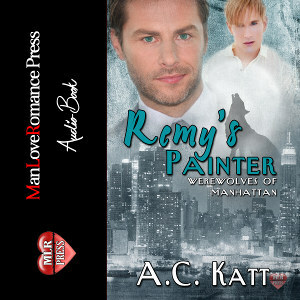 Now all Remy has to do is take care of Sal Ferrara and convince Ian, a human, to accept both him and his wolf.